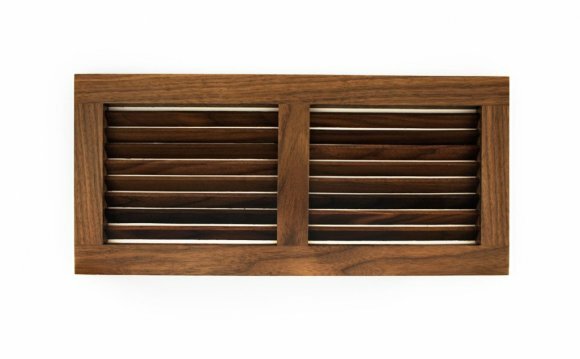 Air-return grilles installed in a ventilation system ensure that your house, office or other building has a perfect supply of indoor air every hour of the day. To help you select the best devices to fit your needs, we have prepared a comprehendible guide with simple steps to follow. When selecting an air-return grille for the ventilation system of your home, many factors should be considered. Let’s start with the most important ones such as size and air flow power. Since such grilles are installed in various locations of the ventilation system, they come in different sizes and designs. To select the grille of the size you need simply look for the item of the same diameter that a flex ducting has. You need to remember that the larger the grille is the more air it will consume and the more powerful air flow your system will have. Most of the modern air-return grilles come equipped with filters but it is advised to ensure that such option exists before buying the item. What the filter on the grille does is stopping the dirt, debris and unwanted objects from getting into the ventilation and damaging its applications. With that said, the smaller the net on the filter is, the less are the particles it will let through. Every grille, especially the one that is installed in a ventilation system, needs to be cleaned from time to time. Before selecting an air-return grille, see that its cover is removable or even replaceable. With that you can either clean the filter or replace it with the new one and save your precious time. Next factor to consider is the durability of the material that the grille is made from. To provide efficient and long-lasting operation, such item has to be extremely resistant and rigid; this is why most of the air-return grilles are made from steel or galvanized metal. Installation of the grille is also very important detail that you should pay attention to. If you can’t install such item or it is not compatible with the ducting of the system, there’s no point of purchasing it no matter how great and appealing other characteristics are. Design and color options should be the last details that define your grille choice. Since such ventilation parts should not be visible, ensure they have the same color or at least select the option that will match the walls or ceiling. In addition to that, you may want to select air-return grilles with smooth and easy-to-clean surfaces.